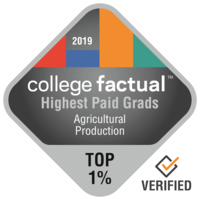 Colleges with the Highest Paid Agricultural Production Graduates in the Rocky Mountains Region of the U.S. The Rocky Mountains region has no Agricultural Production programs. Continue your search in a different region.